Rowlinson Langham Screen / Gate: The Langham Panel by Rowlinson comes in this wonderful design, ideal for either using as a single entry gate or a narrow screen panel. 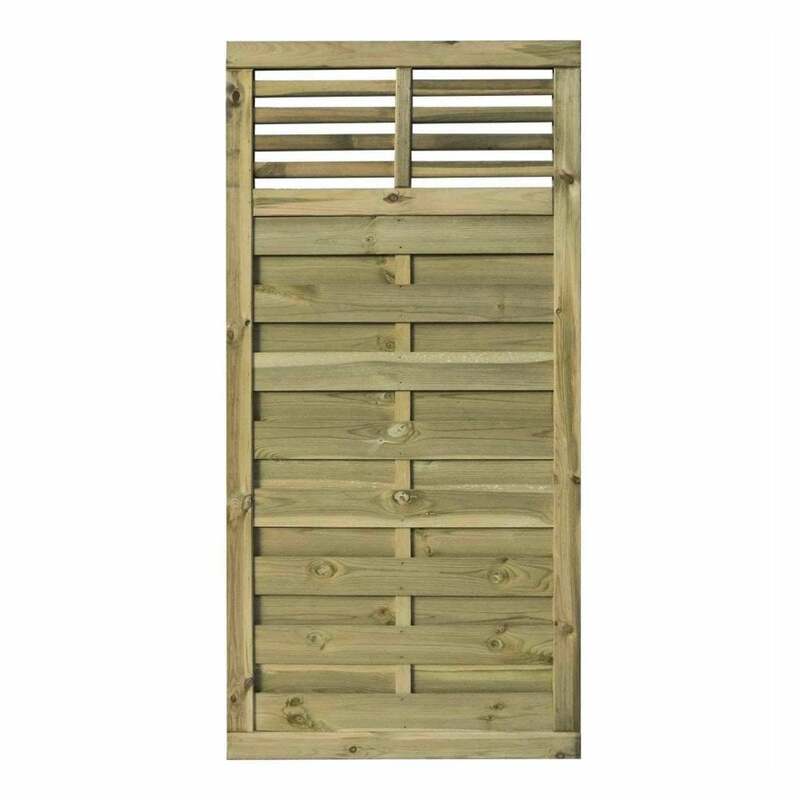 The Rowlinson Langham features a traditional horizontal slatted design, 70 x 40mm framing with an open trellis top detailing for an attractive finish. The Langham Screen / Gate has been pressure treated to prevent against rot with a natural timber finish and includes a 12 month manufacturer’s guarantee.